We loved Katie and Chris’s October Philadelphia wedding day at Union Trust! The weather was absolutely perfect, mild and sunny which made for the most perfect portraits around historic Philadelphia spots including the 18th Century Rose Garden and Washington Square Park. Finley Catering’s Union Trust, originally built in 1888 as a bank, with its soaring sixty-five foot illuminated engraved ceilings, architecturally accented walls, and a balcony that overlooks the ballroom is certainly grand. 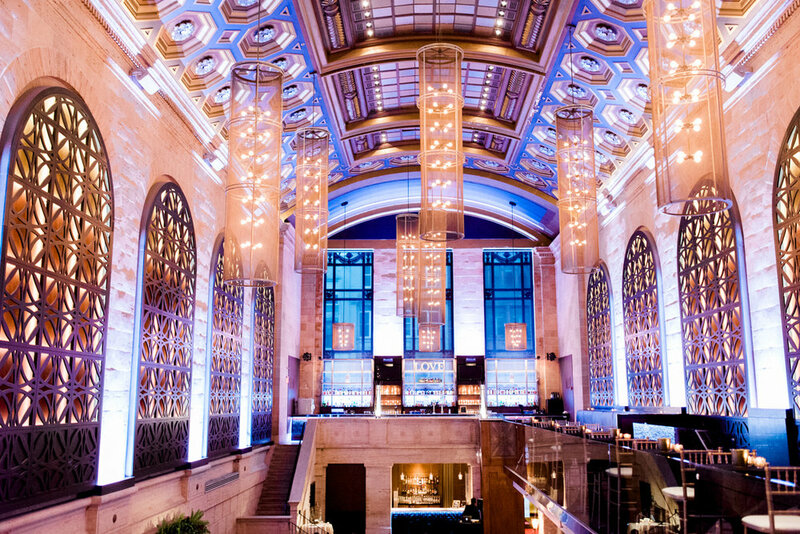 This venue is a perfect canvas for a glam art deco inspired black tie Philadelphia wedding. We loved Katie’s choice of bold florals- magentas, purples, and reds that paired so perfectly with the navy of Chris’ suit and Katie’s unique blue sapphire engagement ring. These jewel tones were beautiful and adventurous against the white marble and greenery of Philadelphia in October. Katie and her bridesmaids along with her sister and mom got ready at Katie + Chris’ home in Fishtown. Her light drenched third floor bedroom made for the perfect room for slipping into her dress with a beautiful floor to ceiling gold framed mirror. 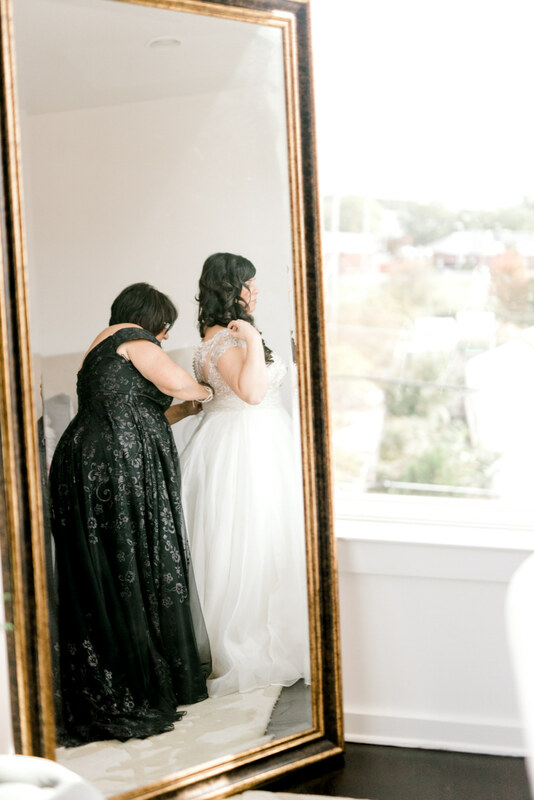 After getting into her dress, I could tell Katie was nervous- she was so ready to see her groom! We decided to keep this moment private in the 18th Century Rose Garden in Old City, Philadelphia. We love this garden so much because it’s a tucked away hidden gem of the city. After portraits of the bridal party and family in Washington Square Park, we ventured to Union Trust for the ceremony and party! Katie and Chris certainly had such a beautiful wedding and we were beyond thrilled to have been able to capture it all! When Katie and Chris aren't getting married, these two love to cook, travel, eat cheese (during their engagement session we all split a cheese board that Chris’ dad prepared! ), hike, try new hobbies: their newest being kombucha making!